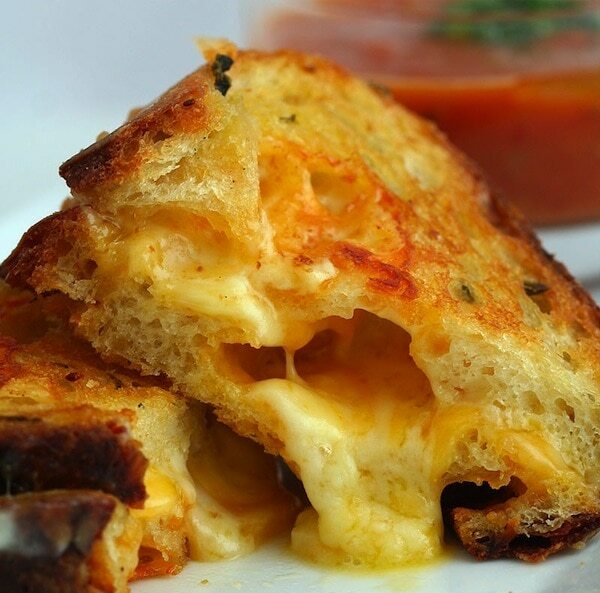 Seriously – nothing beats a grilled cheese. NOTHING. Well, except a grilled cheese and tomato soup. YUM!! Did you know National Sandwich Day is November 3rd? I love how there are so many “National” days surrounding food. 🙂 Arnold and Oroweat asked 4 food bloggers to come up with their coolest creations and have posted all the recipes on Facebook as part of a sandwich competition. One of my friends is in the running – Tina from Carrots and Cake! I voted for her “Little Bites of Heaven” because anything that has Nutella in it is a winner in my book. Want those recipes? Click here to check them out. glad that I know that it is natl sandwich day – a good excuse to ditch the salad! I’d like to prepare grilled cheese too. Maybe for Halloween or for Christmas, but I just can’t wait for that. I’ll prepare them later. Im craving.. I love onions on my grilled cheese- yum!